Errors & Omissions - Coverage you can depend on. Everyone makes mistakes. As a business owner, you know that no matter how hard you and your employees work or how diligent you are about following the best risk management practices, mistakes big and small will be made. But there is a way to protect the business you’ve worked so hard to build: Errors and Omissions (E&O) Insurance. Also known as professional liability insurance, errors and omissions (E&O) insurance basically covers any errors you may make as a professional as well as anything you may overlook. In the event you or your business is sued because of a professional mistake or oversight, or because a client isn’t satisfied with the service you provided or failed to provide, an E&O insurance policy will help protect you. Often, businesses will spend thousands of dollars to defend a lawsuit—even those that are without merit. These costs may result in bankruptcy for smaller companies and individuals and negatively affect a larger company’s overall earnings. With an E&O policy, you and your company will be protected against a client’s claims. If you are in the business of providing a service or services to clients, then E&O insurance is definitely something to consider. The more typical professionals who benefit from this type of policy are lawyers, doctors, architects, engineers and accountants, but real estate agents, web developers, IT professionals, wedding and event planners, consulting, media and freight shippers will also benefit from having an E&O policy. When a client claims a service you provided or failed to provide caused them financial damage or a project delay or an event cancellation, you will be expected to cover the losses they say were incurred. An E&O policy will protect you and your business against any such settlements and judgements, and will also cover attorney fees and court costs. At Colstan & Associates, we can help you find an E&O insurance policy that will provide the solutions, funds and resources you need to keep your business functioning and your reputation intact. Remember, even if you are found not to be at fault, fighting these false claims takes both time and money. How big is the company? Both the number of employees and the amount of revenue will affect cost. What industry? Some industries, such as doctors and lawyers, are seen as being more susceptible to errors and omissions lawsuits. Where is the business? If you company is located in the northeast, chances are you’ll be paying a higher premium than one located in the Midwest. What type of contracts do you use? Are your contracts precisely worded so clients can understand exactly what you are providing, or poorly written with obscure writing? If you do not use contracts at all, your business is definitely at a greater risk. Are employees well trained? Experienced employees who have been thoroughly trained are less likely to make mistakes or cause errors. Do you have a history of being sued? 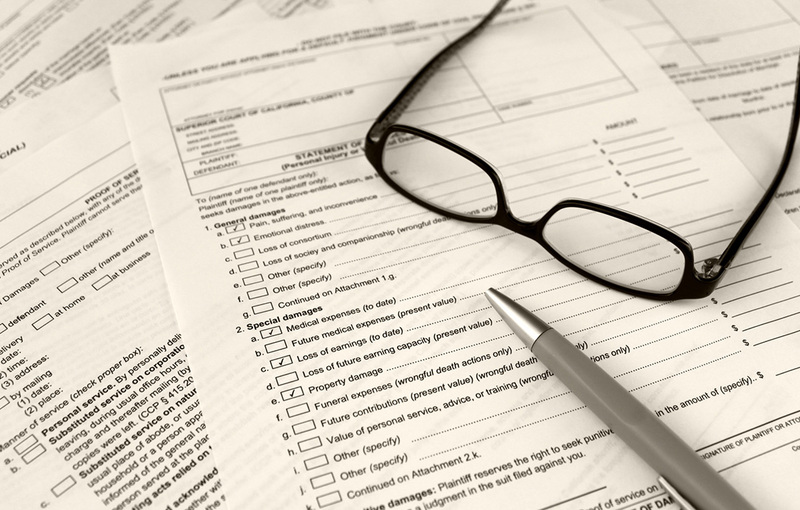 If your company has been sued before, this will send up a red flag to your insurance carrier. Details about the suits and how they were handled will be looked into. Are you serious about quality control? Quality-control procedures in place that aim to keep clients satisfied while getting the job done will help to keep policy costs down. Tail Coverage: What is it and How Does it Work? An important kind of insurance add on for an agency’s errors and omissions policy is called tail coverage (also known as extended reporting coverage). When an agency is in the process of buying, selling or closing down, tail coverage lets the purchaser continue to cover E&O claims even after the policy has expired. Although the coverage period isn’t extended, with tail coverage, the agency will have more time to report the incident or claim. In short, tail coverage gives the insured a time period where they retain coverage for any E&O claims that are a result of professional services provided after the retroactive date in the policy and prior to the expiration date. If an agency owner does not have tail coverage, he or she is responsible for any defense costs and damages for professional liability claims that are made after the policy has expired or is cancelled. For more information on errors and omissions insurance and other additional coverages, or for general information, contact Colstan and Associates, Inc.
Start saving and get more personalized service today!